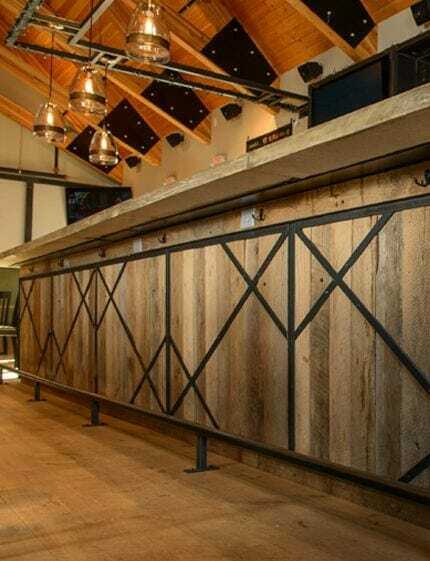 Reclaimed wood provides a subtle backdrop at this neighborhood pub. The mix of time-worn textures and sleek surfaces showcase the material’s versatility. 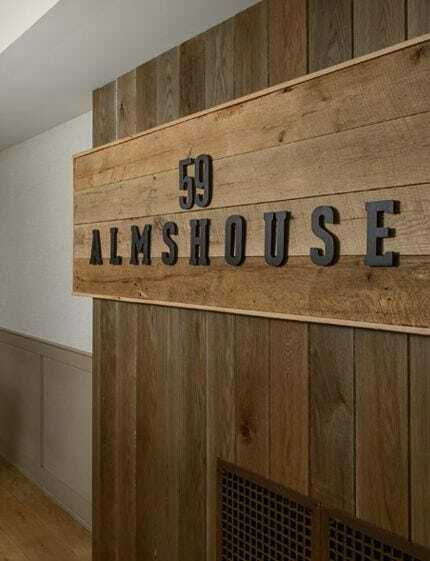 For 59 Almshouse, the client requested a modern farmhouse feel and Provenance played an integral role in bringing it to life. Much of the neighborhood pub is covered in wood resulting in a collage of textures and tones. 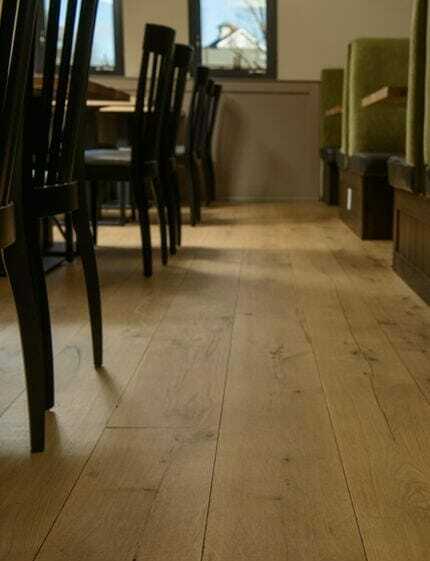 Sleek oak cladding and wide plank flooring mingle with time-worn siding and tabletops swirled with prominent grain. To unify the space, Provenance developed a custom stain and brushed it on the woodwork for a sophisticated palette of silvery grey. In the main dining room, customers sip pints at spalted silver maple tables, while sports fans watch the game at a bar clad in antique circle sawn oak skins. Provenance also contributed to the chef’s room, a welcoming spot for large parties. There, diners share conversation at communal tables and a cabinet topped in English walnut provides additional storage. And to emphasize the rural theme, Provenance fabricated and installed barn doors that slide open to reveal a flat screen TV. As for the small, yet essential design elements? Slate signs announcing the daily specials and vintage heat grates add the finishing touch.